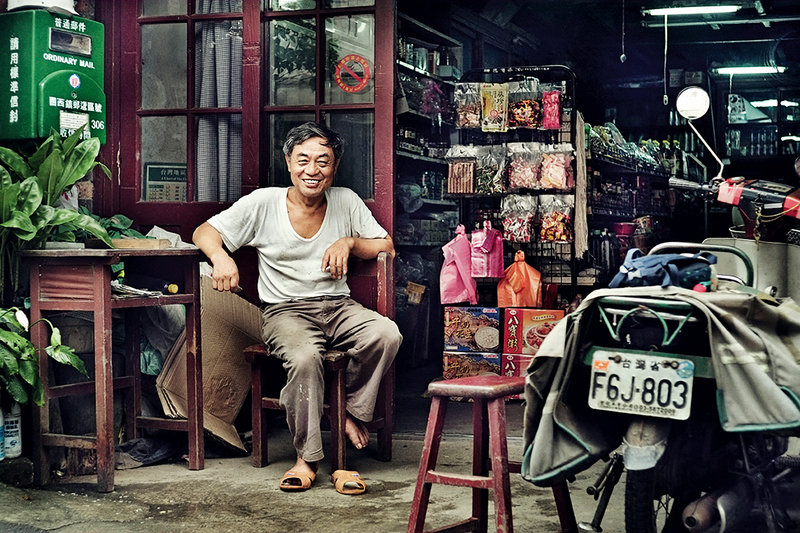 Corner grocery stores once played an important role in the everyday lives of people in Taiwan. Today they are the last vestiges of vanishing traditional society. They arose to meet the needs of local communities, and place a high value on serving those communities. Their wares included cigarettes, alcohol, rice, salt, snacks and toys. They also sold frozen goods, cold drinks, dried foodstuffs, and objects needed for religious rituals. They also extended credit to customers and provided postal services. Amid the sundries, local news also spread through the chitchat of the store’s customers. The store’s owner and the customers all played a role in this ever-changing drama of life. Some kids born in the 1970s who helped out in their families’ corner stores witnessed the heyday of such stores during their childhoods and then watched this world fade away before their eyes. They have set out to capture the vanishing world by summoning the memories of their youth. 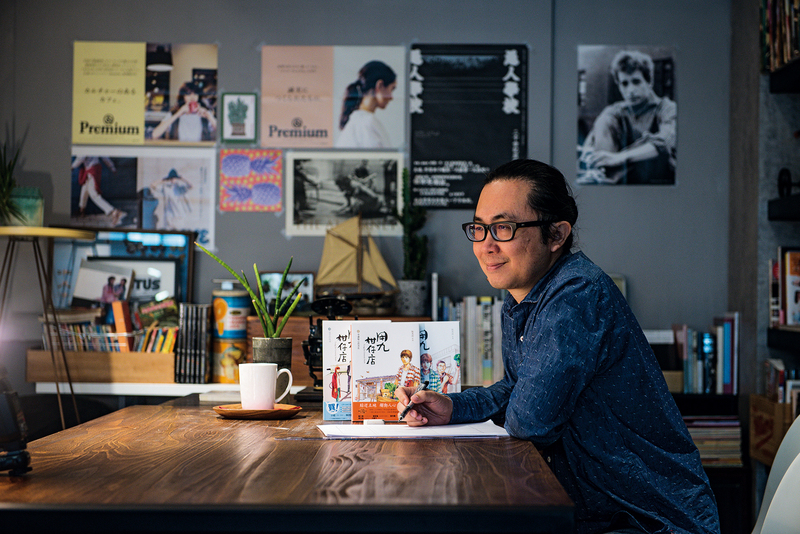 Comic-book author Ruan Guang­-min created Yong-jiu Grocery Store, a series based on his grandfather’s corner store. Illustrator Hsu Ming-hung took up the subject in Bao­chun’s Grocery, which explores the ups and downs of a family grocery. 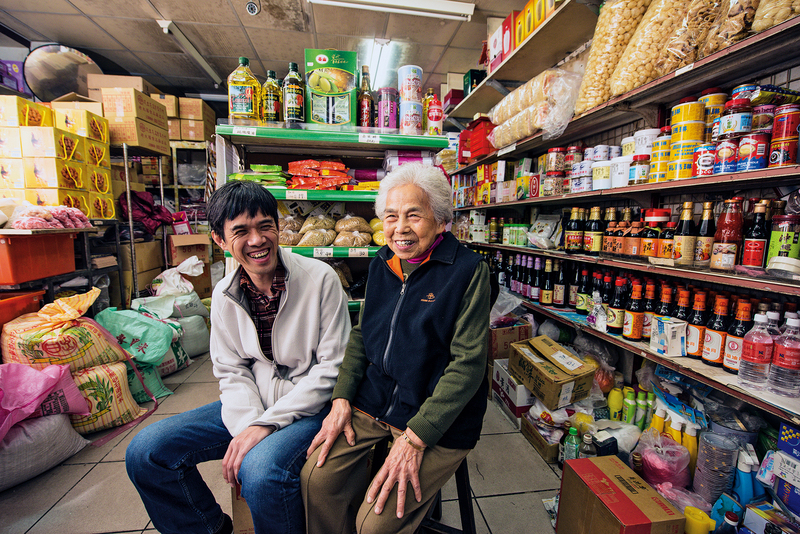 Lin Hsin-yi, a journalist, and her husband Wing Tseng, a photographer, compiled The Good Old Groceries, which records the stories of 32 traditional grocery stores in pictures and words. Through text, images, and personal memories, they conjure up the golden age of the corner grocery. In terms of convenience, efficiency and orderliness, the corner store is no match for the modern con­veni­ence store. But its charm lies in the warmth of its atmosphere. This unique aspect is evident in the relationships between owner and customers. That human warmth also permeates the artistic representations of the world of the corner store. 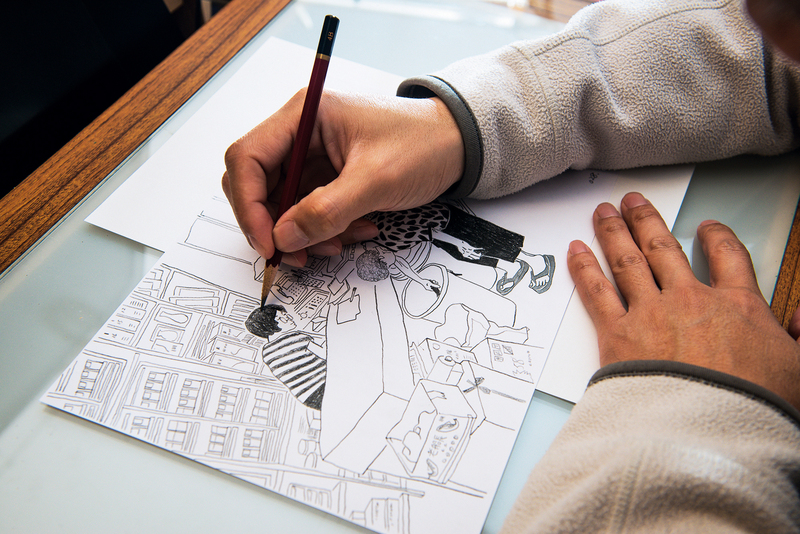 Ruan Guang­-min’s work is marked by a concern for the lives of regular people, and he prefers to tell stories through comics designed for young readers. His stories depict human relations and explore attitudes toward life. His experience working in his grandpa’s corner store led to the creation of Yong-jiu Grocery Store. The story examines the corner store’s struggle for survival in the modern society. He focuses on the interactions of ordinary people and how they navigate everyday life. Through the humdrum rhythm of daily life emerges the comforting warmth of familiarity that reflects the essence of the corner store. Hsu Ming-hung, who wrote Bao­chun’s Grocery in first-person prose, has quite another opinion when he talks about his family’s grocery, which has been open for more than 60 years. “For me the store is a constant in my life, even with the difficulties that has brought,” he says candidly. After this change of heart, Hsu began to record daily life in the shop in a journal. Through these stories he real­ized that the vitality of the shop arose from the family’s willingness to help others. This caring atmosphere also broke down his misgivings about his family and made him more tolerant. Others experienced a similarly complicated process in understanding the traditional groceries. Journalist Lin Hsin-yi struggled to adopt a more personal approach in her writing after spending years reporting from an objective standpoint. She initially set out to record the life of the traditional stores objectively and dispassionately. But the restrictive approach proved difficult. After many drafts, she decided to give priority to describing specific events, but occasionally letting the author’s voice emerge. At first glance, The Good Old Groceries gives the impression that Lin succeeded in avoiding personal commentary in the work. But just as the perspective of a documentary filmmaker becomes apparent during the telling of the story, Lin’s affection for her subject is revealed through her loving descriptions. 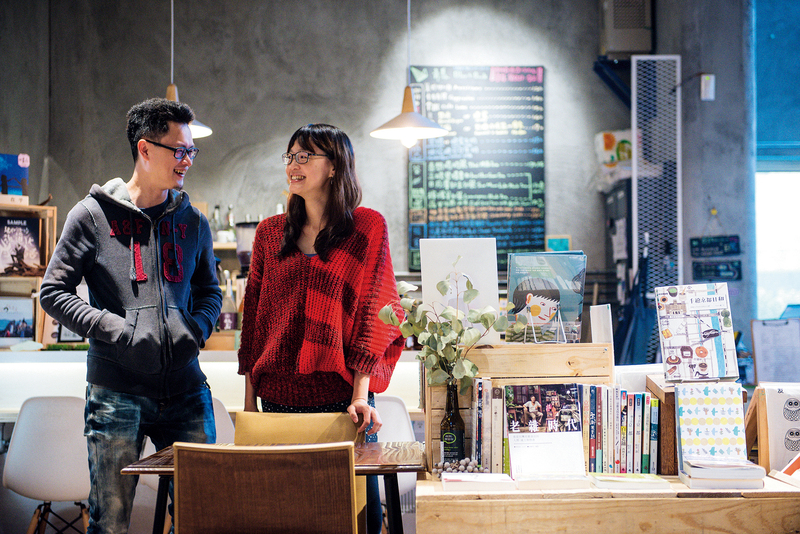 He husband, Wing ­Tseng, says he decided to depart from his commercial photography techniques and adopt a new style for this book project, which he treated as a relaxing pastime. He avoided professional lighting, using only nat­ural light and capturing his subjects in spontaneous photos. The portraits in the book reveal subjects who stare directly into the lens, rather than profile shots taken from a distance. The candid expressions of the shopkeepers reveal the warmth they feel for their customers, and the pictures complement the stories told in the text. Hsu Ming-hung also had posterity in mind. “At first I just wanted to jot down the history of the shop so that my kids and grand­kids would know the stories of the family business,” he says. Wing ­Tseng expresses a similar sentiment. “I will be more than satisfied if in a hundred years people can find our book in the library and learn about this part of history,” he says. The authors’ common sentiments indicate that the tradi­tional groceries are a bright spot in the shared memory of the community. 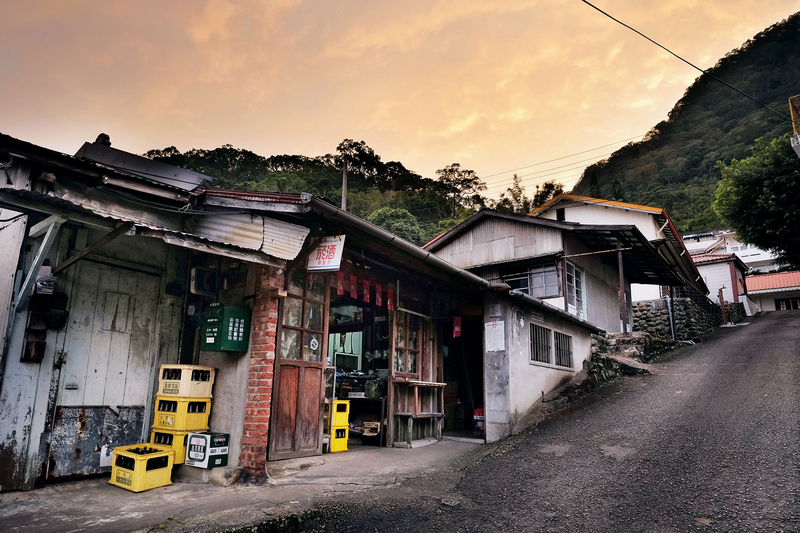 In the 1980s, after modern con­veni­ence stores began to replace the traditional groceries, Lin and ­Tseng scoured old communities to seek out the last of the traditional stores. They visited towns and villages large and small, fishing communities, Hakka townships, old military housing complexes, Aboriginal villages, and mining areas. Along the way they discovered a cross-­section of regional and communal history. Although it lacks the long history of an ancient civil­iza­tion, Taiwan has experienced intense and dramatic changes in governance over the past century, resulting in pronounced differences among various communal histories. By studying the traditional grocery stores, one can also glimpse the trajectory of these political, economic, and social changes. 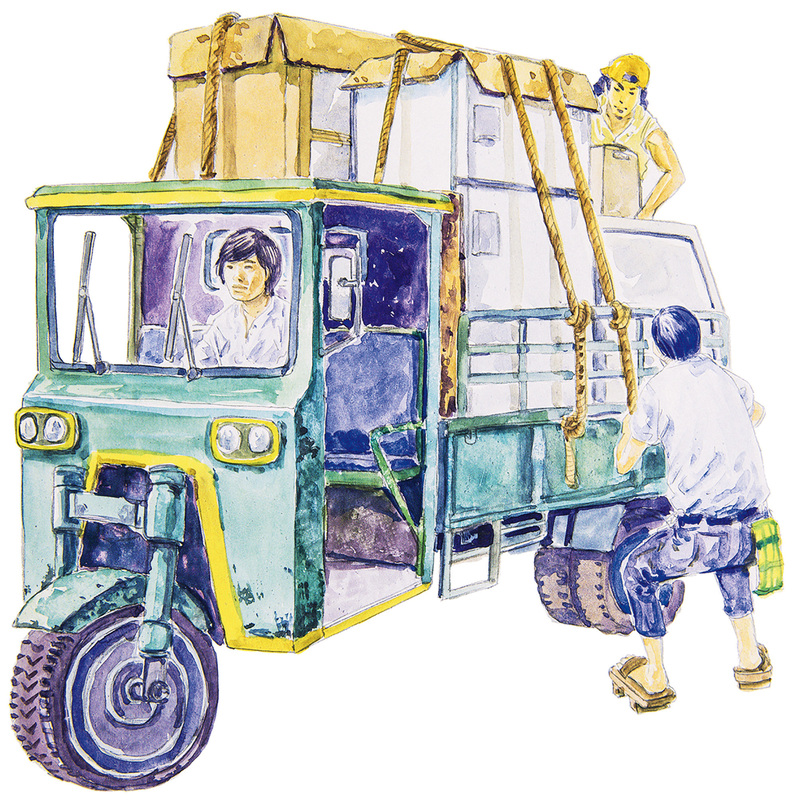 Although Lin and ­Tseng didn’t set out to explore this aspect of the groceries, they have provided a deeper layer of historical significance through a work intended only to provide a documentary record and nostalgia for the old stores. If The Good Old Groceries provides readers with a historical perspective, the fictional Yong-jiu Grocery Store takes a look at the struggles of running such a shop. In fact, the protagonist, witnessing the changing times, seems surprisingly relaxed about the inevitable dying out of traditional groceries. “In every age people develop their own style based on their material circumstances and their aesthetic experience,” Lin Hsin-yi says. Consumers have an unwavering demand to do their daily shopping, no matter how times change. It might no longer be a great age for the traditional grocery store, but growing demand for specialized agri­cultural and artisanal products, such as small-batch soy sauces, has led to the rise of specialty stores. Food and beverages are now sold in some neighborhood shops and there is a vogue for independent bookstores that offer drinks and snacks. These are all offshoots of the corner grocery. 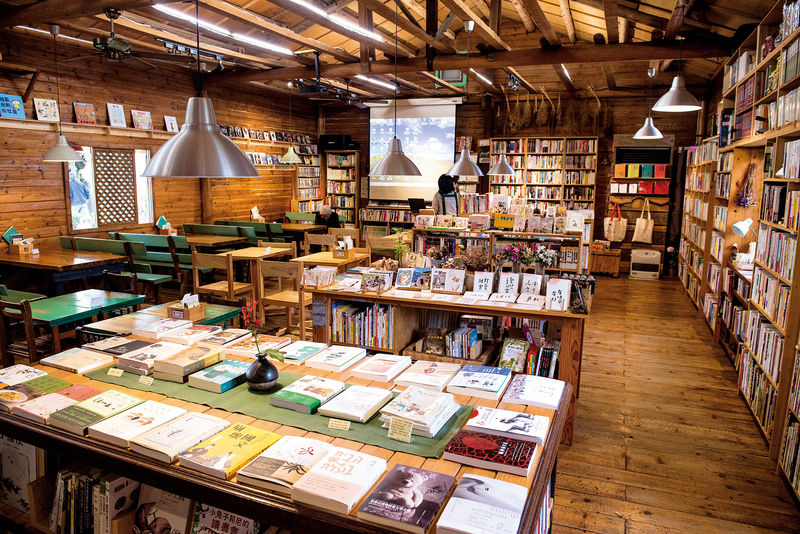 The New Village Grocery, a specialty shop in Hsin­chu which hosted a book event for The Good Old Groceries, sells unpackaged foodstuffs and non-plastic housewares. It too is a new take on the traditional grocery. No matter how times change, enterprises succeed when they don’t forget the people they serve. This is also the essence of the traditional grocery store. These shopkeepers persist in meeting the daily needs of their customers and continue to dance to the music of time.